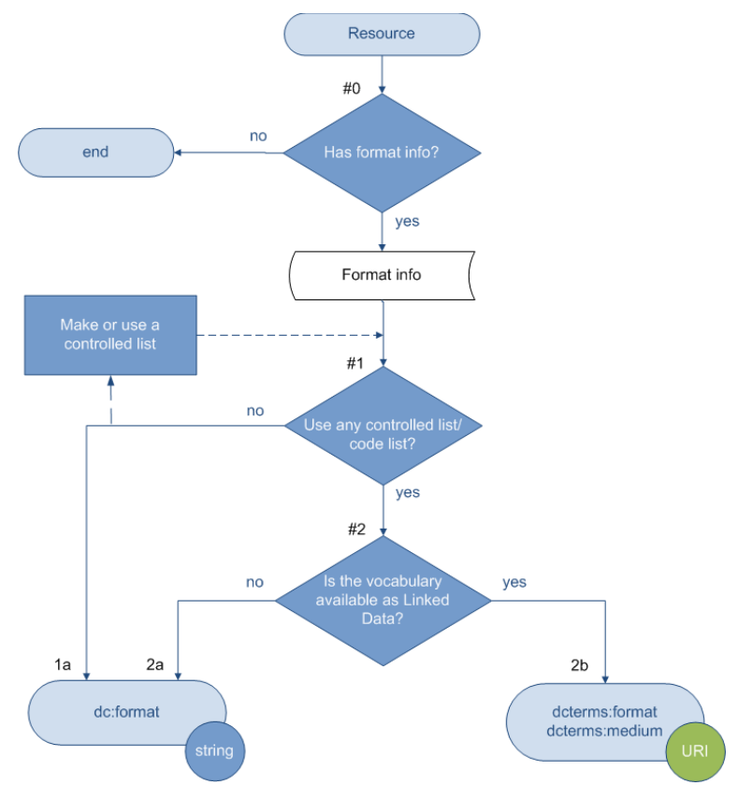 Relation with a resource being described: Resource has format. It is always recommended that a controlled vocabulary be used for your collection when describing ‘format’, such as the list of Internet Media Types [MIME]. It is also recommended that a controlled vocabulary be used for your collection when using dcterms: medium. Because dcterms:medium has the definition of material or physical carrier of the resource, the Internet Media Types [MIME] should NOT be used for these values. If no formal controlled vocabulary exists, handle the media type like another resource.